The New Year, the Poster and "Ysabel". My dear friend and colleague Pauline Baynes has died. I will miss her greatly. The above photo was taken outside her home, Rock Barn Cottage, with her beloved dogs Bertha and Lady in the background. 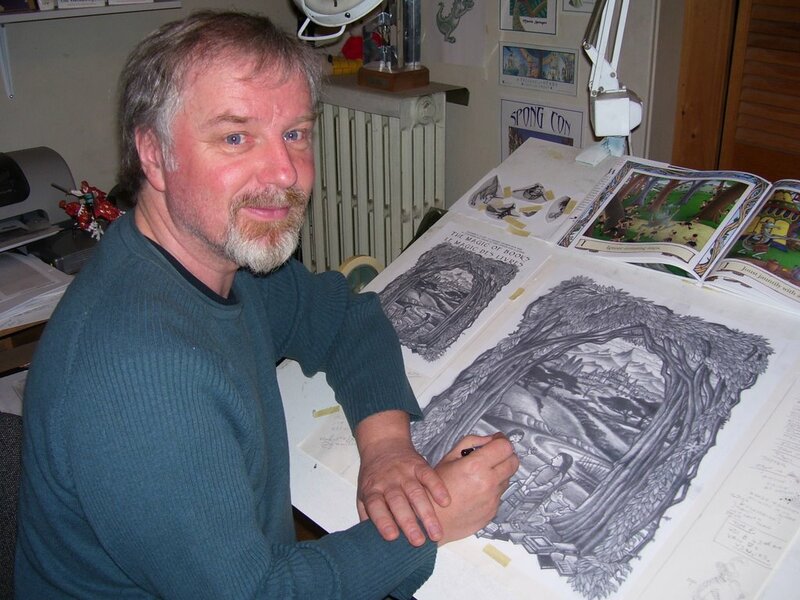 Pauline's work is known to millions, as the premier illustrator of "The Narnia Chronicles" and of many of the shorter works of J R R Tolkien, "Farmer Giles of Ham", "The Adventures of Tom Bombadil" and covers for "Lord of the Rings". I will be creating a permanent page for and about her on my website as I have many photographs, taken during the visits that my brother -in law made over the last eight years. 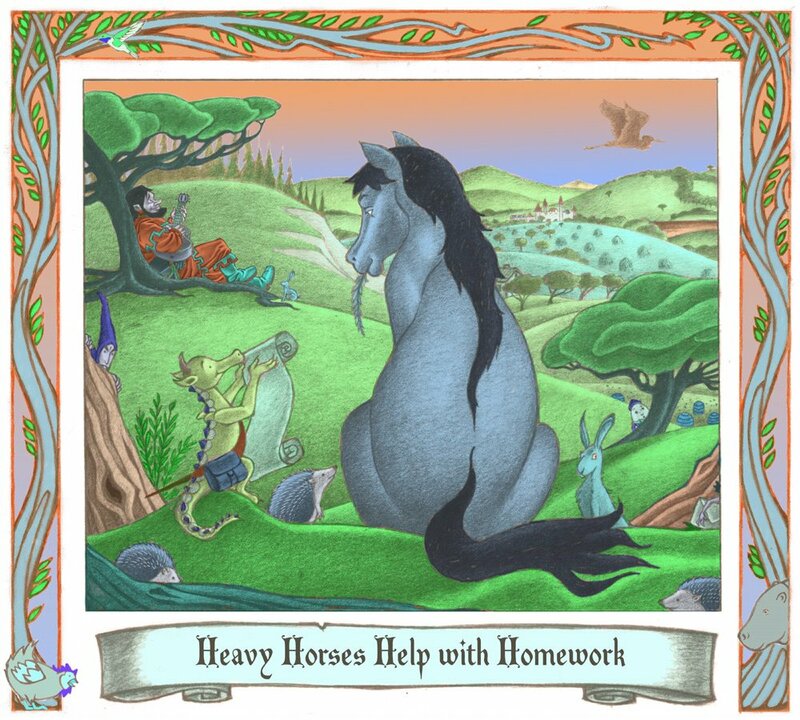 She was working on her art until the day she died, and when I spoke to her three weeks ago she was telling me of her new project, illustrating Aesops fables. She also wanted write her own versions of these old tales. She was remarkable. I will be posting more here as time goes on about Pauline and her amazing career. I am very pleased to start the new year with a very cool commission from the lovely folks at the Canadian Children's Book Centre. A poster to be designed to promote this years Canadian Children's Book Week author and illustrator tours. This is a special year as it is the thirtieth anniversary of these tours. The theme is "The Magic of Books", which is an inspiring brief to say the least. The photo shows me with the first stage of the composition for the poster, an inviting landscape with an "archway" of trees. I am now populating the image with faeries, a dragon or two, one small lad named Dennis, one Lion and a lampost, etc. I hope to post the completed image at the end of February. My good pal and fellow punster Guy Gavriel Kay has a fabulous new novel out called "Ysabel". The Globe and Mail called it an "instant national bestseller". I read the book before Christmas and was so taken with it that I wrote some pieces of music that I am in the process of recording at Rahlen Sullaphen's home studio. 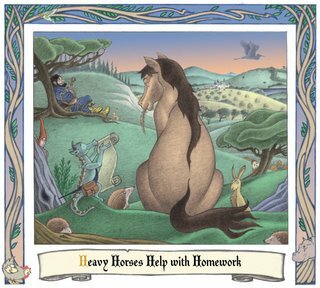 "The Wild Hunt" from "Bright Weaving" is in use at the top of www.ysabel.ca , and I have to say it seems to be a perfect fit. One of the new pieces called "Awakening's" will, I hope, find it's way onto the "Ysabel" site soon. Alyssa Wright recorded her cello part yesterday, and Rahlen will add his sonorous bass lines and then we shall mix the tune. 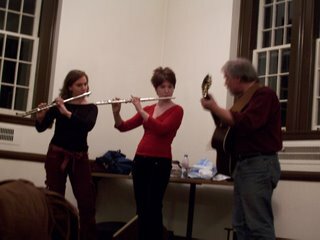 The photo above shows Rahlen and myself in mid flight on a tune from last year's "Words and Music" concert. 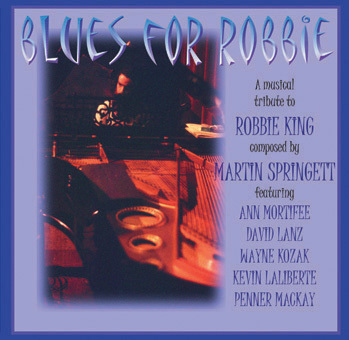 At long last "Blues for Robbie" is finished. This is a heart felt musical tribute to my dear friend and brilliant musician Robbie King. He was an inspiration to me and a generation of players in Vancouver. I am honored to have Ann Mortifee's incredible voice as part of this suite of songs and instrumental pieces. Robbie was Ann's musical director for many years and so it seems fitting that she is a part of this musical journey. Our mutual friends David Lanz on piano and Wayne Kozak on saxophones also play here, along with a stellar lineup of musicians from Ontario. This music is really about friendship and how one person can make a difference in our lives. I don't shy away from the fact that we lost Robbie to early, and the feeling of loss and what might have been. I think Robbie would enjoy the eclectic mix of styles here, as we both agreed that labels don't suit music. So I have everything from flamenco guitar, beautifully played by Kevin Laliberte , to Alyssa Wright's singing cello. Dalannah Gail Bowen adds her sultry blues voice to "Life Groove" and Mark Lalama, plays a fiery Hammond B 3 . 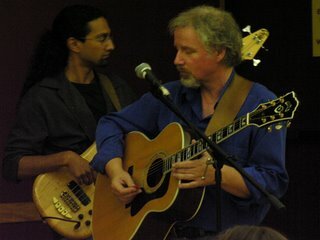 Long time musical partner and percussion master Penner Mackay adds wonderful grooves throughout. The CD will be available from the website on December 8th. 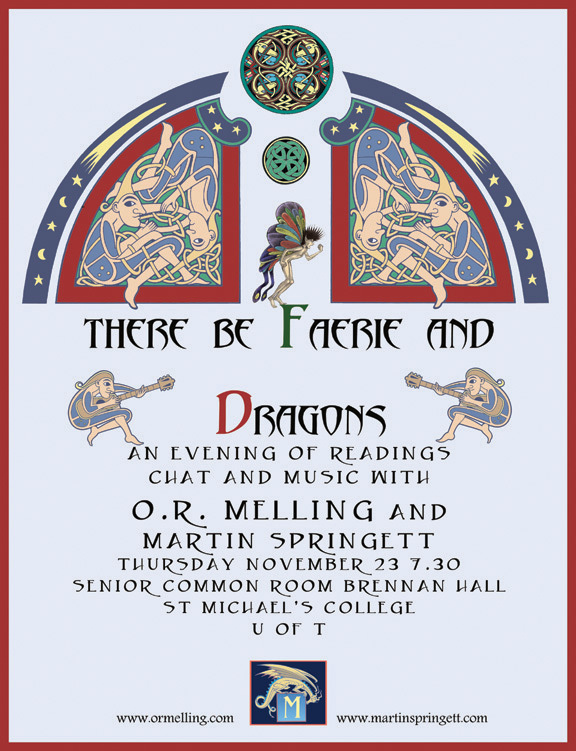 dear pal O R Melling at St Mike's College, U of T, on Thursday November 23rd. This event was organised by Deb Scorsone of the Celtic Society. 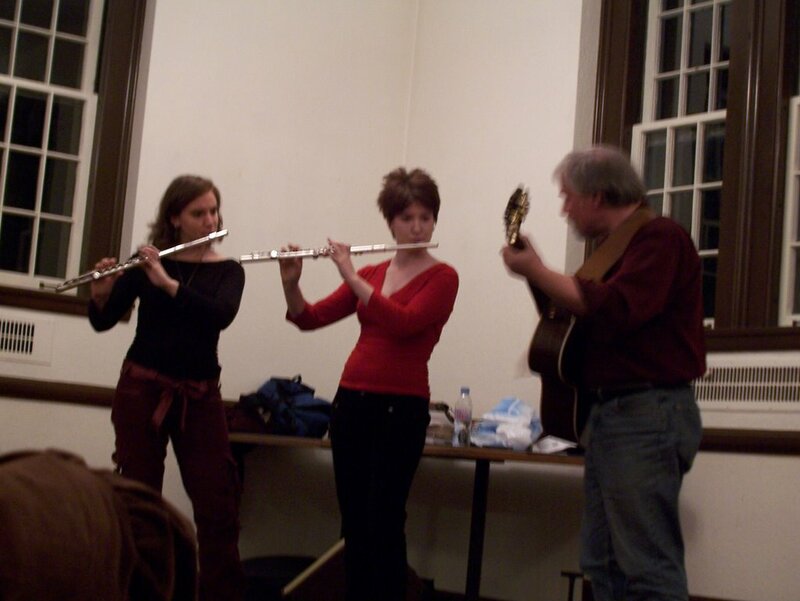 My daughters Rebecca and Miriam accompanied me on a suite of tunes I have composed inspired by Orla's "Chronicle Of Faerie", comprising of "The Hunter's Moon / The Summer King / The Light Bearer's Daughter". All of these pieces are being recorded for my next C D project called "A Telling". Orla and I talked about our work and answered questions, the friendly audience was certainly a great inspiration for a good gab by both of us. 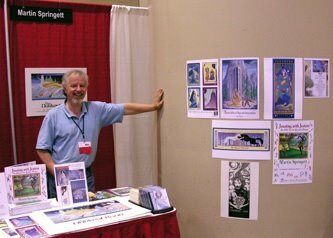 I sold copies of "Jousting with Jesters" and "Bright Weaving" CD's, so a very satisfying event, and great to make new connections. Thanks to Orla for inviting me to be a part of this special evening. 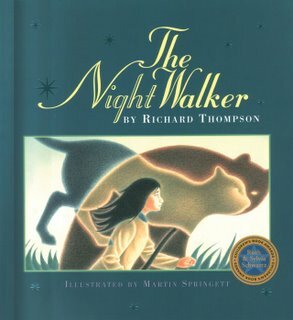 I am pleased to announce that "The Night Walker"
which won the Ruth Schwartz award for author Richard Thompson and myself, has just been released in paperback. The publisher, Fitzhenry and Whiteside, did a great job. The interior of the book looks exactly the same as the hardback, and the cover has the embossed stars and a very tasty matt finish. The cover, designed by Wycliff Smith, is still one of my favorites. 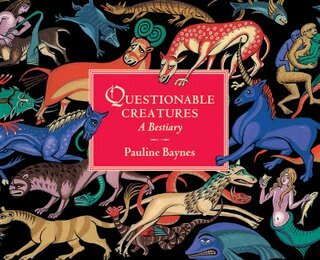 My dear friend Pauline Baynes, the illustrator of Narnia and the works of J R R Tolkien has a lovely new book out called "Questionable Creatures". "Jousting with Jesters" is dedicated to Pauline as I grew up looking at her work and copying it as a young sprog. I lived in a Pub in Appledore, Kent in the U K , and spent many a rainy day drawing and copying the works of artists whose illustrations I admired. Basically it went, "I wish I could draw like that, how do they do that ? " I sat in the tiny boiler room, my wee desk crammed into a corner, scribbling away very happily. A window overloooked the green of the council housing estate, and I loved the patterns the rain made on the widow and how it distorted the view of the houses and the green. To this day I love working when it's raining, it brings back that feeling I had as a youngster, setting out on imaginative voyages, sometimes on my own and other times through the works of other visual artists. Pauline was one of my travelling companions, and I'm very happy to have met her and proud to have her name in my new book, and to recieve a positive review from her as well. "Questionable Creatures" is published by Eerdmans in the U S and Frances Lincoln in the U K. Do look for it. I am honored to have my dear pal Orla Melling mention "Jousting with Jesters" on her Book Blog. In case you don't know her work she is the author of a brilliant Y A fantasy series called "The Chronicles of Faerie". I was inspired to write a piece of music after reading the first novel in the series called "The Hunter's Moon" and this will be included in the next C D I am recording called "A Telling". 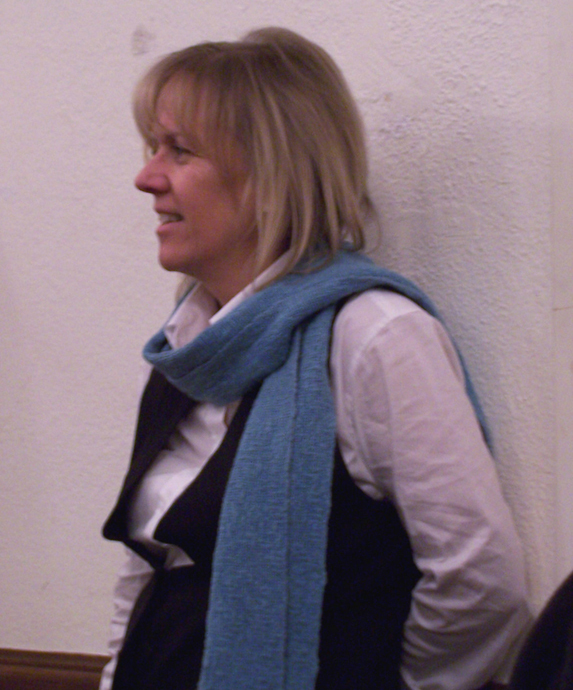 Do check out www.ormelling.com Book Blog, and then read all about Orla and her wonderful works. "Jousting with Jesters" is already available on Amazon.com and afffilates .uk and .ca A pleasant surprise. Order your copy today ! Does this sound laike a sales pitch, well you're absolutely right. I went back to the landscape of my childhood, the county of Kent England, for the setting of this tale, and tapped into an aspect of my creative self that I hadn't had the chance to use in my other books. Whimsical humour, or being outright "silly", has always been a big part of my everyday persona, and I have always been a fan of literate verbal humour my whole life. From "Winnie the Pooh" to "Beyond the Fringe" "Monty Python" to "A Bit of Fry and Laurie" ( an absolute gem, starring Stephen Fry and Hugh Laurie. Forget "House", Laurie is brilliant in this series, now avialable on DVD. ) "Jousting with Jesters" allowed me to go back in time in the most positive way. 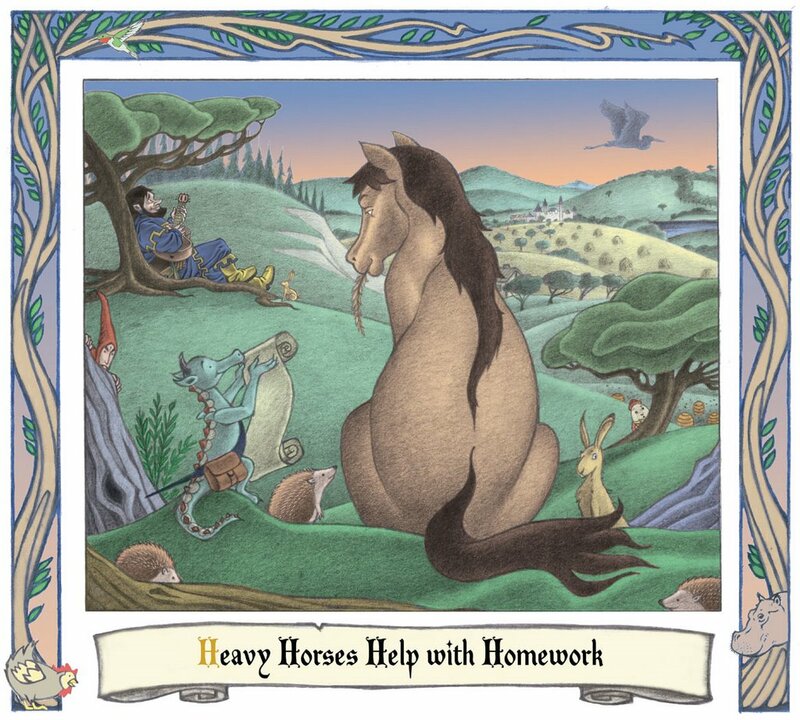 I have had some wonderful experiences showing "Jousting" to kids in schools and libraries, they really seem respond to Dennis the Dragon and the medieval setting, plus the fun of finding all the various letter references and tracking the various characters and where they pop up. Rehersals are under way for the concert on the 14th of September ! It's intruiging to re-visit the music I wrote for "Bright Weaving", it takes me back to the original inspiration, the brilliant novels of Guy Gavriel Kay. The music has grown and the versions of the tunes on the CD are jumping off points for the live versions. 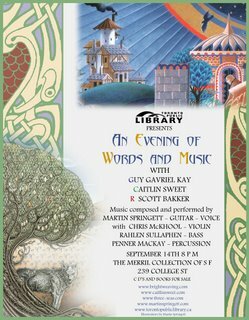 I am excited to be playing new music as well, inspired by the works of Caitlin Sweet and R Scott Bakker. I am honored to have these wonderful writers reading from thier works as part of the event. All the new music will be recorded over the fall and winter for a new CD project called "A Telling". Bakka Books will be selling C D's and books, plus my new kid's book called "Jousting With Jesters", which comes out next week. This will certainly be a special night for me. Martin recently attended Fan Expo, Canada's largest entertainment event. Martin displayed and sold his work at this event. Fan Expo served as the launch site for Martin's new book, Jousting With Jesters.